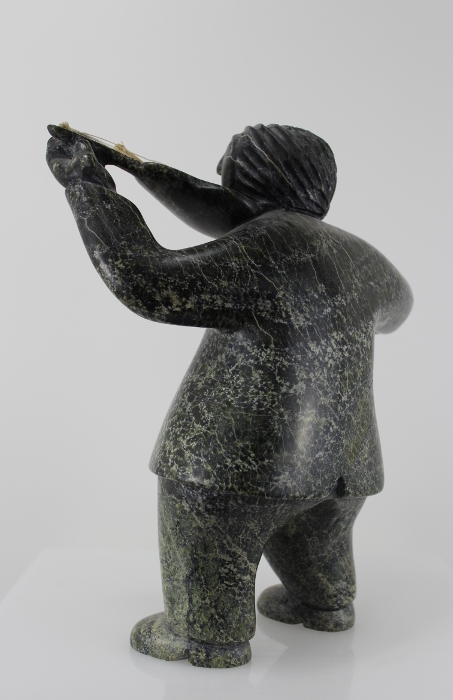 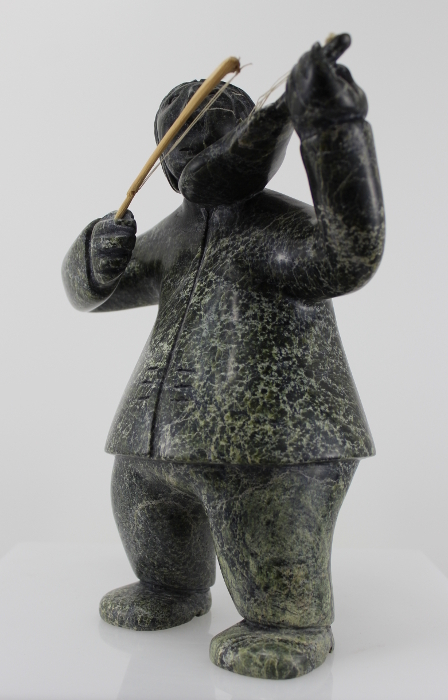 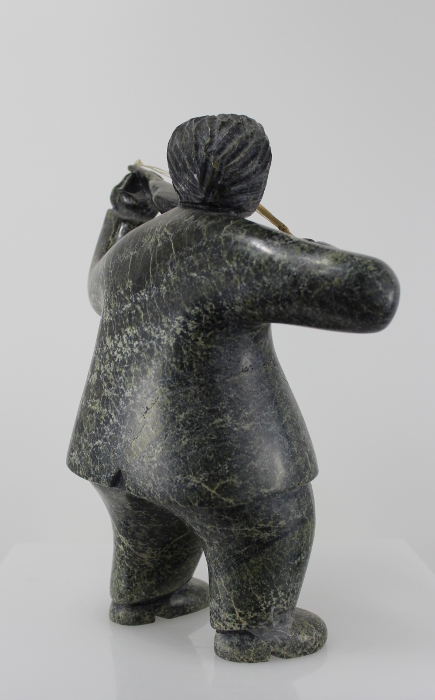 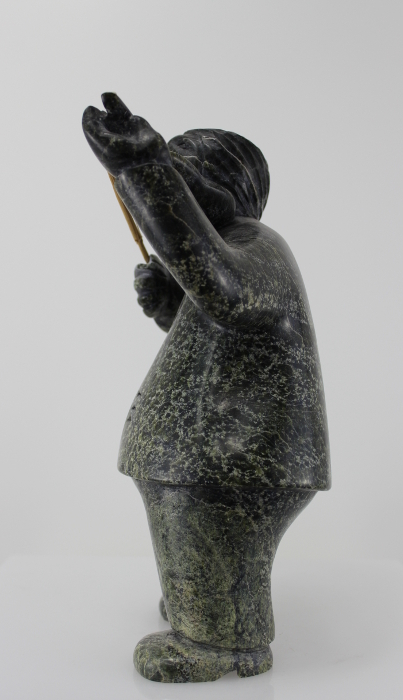 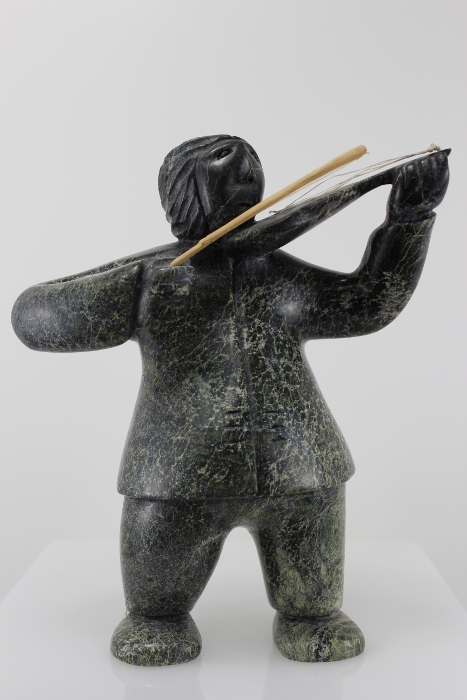 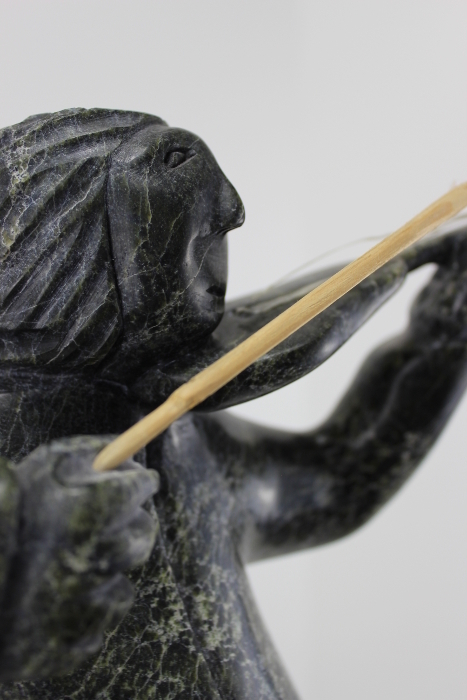 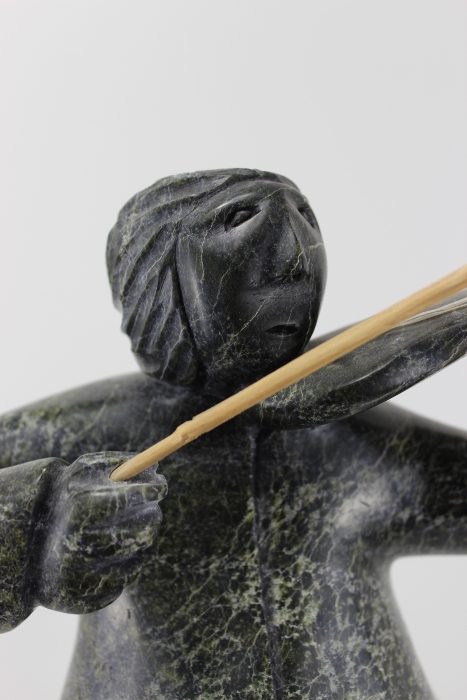 The fiddler crafted by Mathewsie Tunnillie is a wonderful piece of Inuit art. 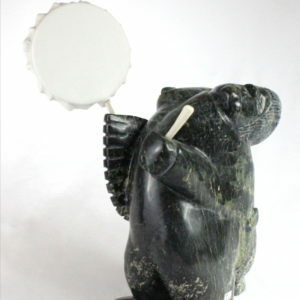 This piece is full of charm and character. 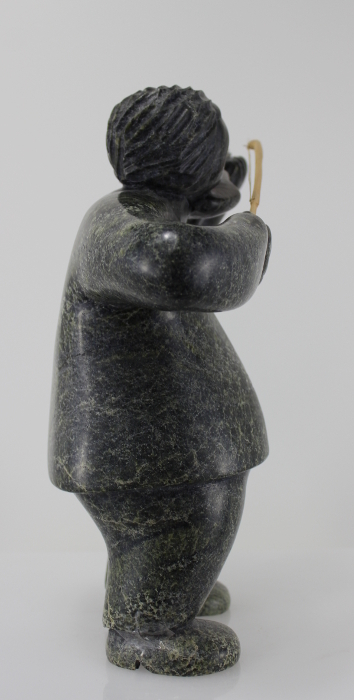 The proportions of the carving are great and the stone used is beautiful. 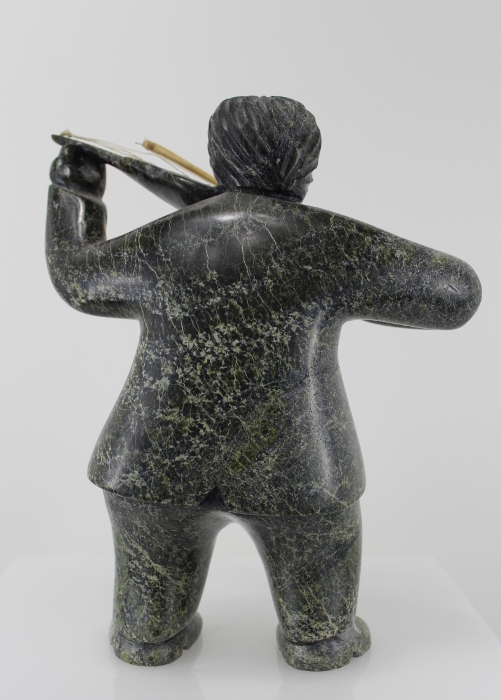 When looking at the carving you can’t help but wonder what song he is playing. 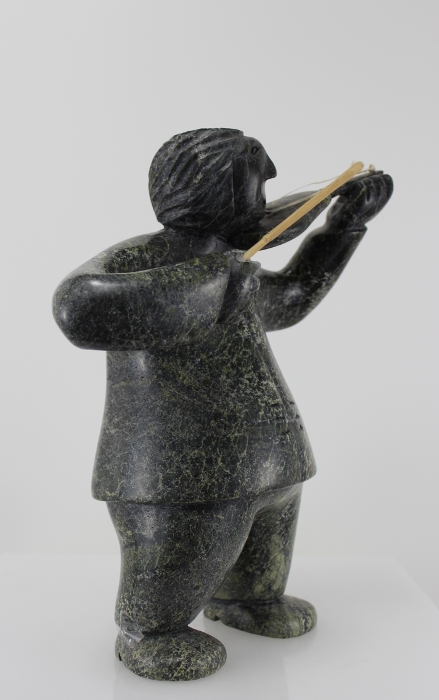 Add this wonderful piece to your collection.